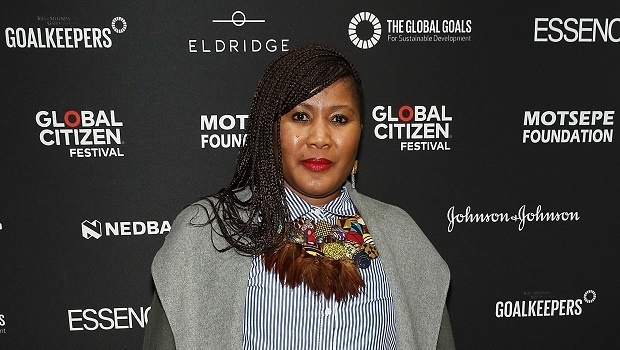 Tukwini Mandela attends the Global Citizen Festival: Mandela 100 Launch Event at the Circa Gallery on July 9, 2018. Credit: Getty Images. We have among others, Mandela's grandchildren to thank for Global Citizen Festival taking place on 2 December. We talk to one of them, Tukwini about legacies, working with family, self-love and how to make the world a better place. Tukwini Mandela immediately sounds warm, undeniably seasoned and tough. And every now and again an unaffected and infectious chuckle breaks out when something amuses her. She's talking to W24 about the Global Citizen Festival whose lineup was announced last week, with Beyoncé and Jay-Z as the headliners. How long have we been hearing rumours that she was headed to our shores? Now it's finally a reality. But there's a 'catch'. You can't buy tickets to see her and the rest of the performers. You have to earn them by taking actions to end poverty. A number of people have been up in arms about what they feel are various hoops they have to jump through just to stand the chance of winning a ticket. Earning one is not guaranteed. I ask Tukwini what she'd like to say to them. She answers that they mustn't look at it that way. She says, "We're all contributing to something great, something bigger than the rest of us, I think. I mean, people work just as hard to go buy tickets to go see some other artist, right? So why shouldn’t they be thinking of this concert as the same thing?" You work hard to get a free ticket to see all those people a good cause. "This has a ripple effect as well, in the sense that whatever people do or are involved with, they might encourage other people to do something good too. For me, I definitely don’t see it as a hardship." And making the world a better place, has long been something that's driven her. How could it not be growing in her household? And after travelling so extensively. Tukwini says, 'It's definitely made me a better global citizen." What's with this current buzzword - global citizen? "The idea is that one’s identity transcends geography or political borders and that responsibilities or rights are derived from membership in a broader class: 'humanity'." It's something Tukwini has always believed that and that diversity rules the world. "As far as I’m concerned, it makes the world a better place, and I think it’s a good thing that there are diverse world views and that there are diverse people who look completely differently from you and will have completely thoughts from you and I. "Because we might have differences in opinion about something but we are all fighting to get to the same place. We want to have a better world where people are much kinder and gentler and compassionate towards each other. We have different ways on how to get there and that, to me, is not necessarily a bad thing, it just makes the world a bit more creative." So how is she getting there? She's been on quite the journey already. I just think that my grandfather left us with so much more than just using his face to market a commercial product. After studying social work which she admits she chose because she had little idea of what she wanted to do at the time and because her mom had pursued the vocation, she went to the London College of Fashion. She says, "I think, even though [social work] wasn’t my first choice, it definitely taught me a few things about how I manage my work, personal and my social environment. It taught me to read people very easily and to read people’s body language as opposed to what they said. It also taught me to work with people’s strengths as opposed to their weaknesses." She's started a fashion business but can't talk about it right now because it’s still in the process of being developed. Tukwini says people will definitely see something from her some time next year. It won't be T-shirts, btw. The businesswoman says, "I just think that my grandfather left us with so much more than just using his face to market a commercial product. My mom and I have fallen into that trap and it doesn’t really work. I think that just the messaging around my grandfather, the messaging around my legacy and lineage and where I come from, as a Xhosa-speaking woman lends itself to creating far more interesting products than just printing my grandfather onto a T-shirt." She continues, "My grandfather wasn’t necessarily a fashion icon. I know that he became [one], I guess, without intending to; but he didn’t gravitate towards that. I think his messages lie in compassion and treating people with respect and dignity. He always said that charity begins at home. I think that type of messaging would have worked far better that putting his face on a cheap T-shirt." And how does she honour him on a day like Mandela Day? "For me, it’s not just about one day. There are times when I don’t do anything around Mandela Day, but for me it’s all the same; it’s all the little actions that I’ve done throughout the year that count for me; whether it’s saying a kind word to someone because we don’t know where that might take that person. That person might be having a bad day and just greeting them and giving them a nice comment about how they look or what they’re wearing can set their day for them. "In our work environment, it’s about the people my mother and I have employed and the fact that my mother and I are able to help them when they’re struggling with something and even help them financially that feels good to me. People are able to function better in their society and when they treat themselves to love and self-care. I believe that when people do that, they [can] tackle the mental health issues that we have today. Mental health is a serious issue for me." Poverty just affects so many different things. It affects education if you can’t afford to take your children to school. It affects your kids because they don’t have enough nutrition to focus at school. It just has so many ripple effects. After becoming involved with Global Citizen through her brother Kweku who sits on the board, they decided it was time to bring the concert to Africa and make it truly global, while paying homage to her grandfather. She says he loved music so it felt right and ending poverty is "something that my grandfather was really passionate about and I’m passionate about it too because I think if we could combat poverty, our world would be a much better place. Poverty just affects so many different things. It affects education if you can’t afford to take your children to school. It affects your kids because they don’t have enough nutrition to focus at school. It just has so many ripple effects." I ask her which song he would enjoy the most if he were still around and able to attend the concert. Which song would they both get down to? She laughs and says, "It would probably be Freedom by Pharrell".